The Mo-Pivot head and display light by Tech Lighting features a 220° swivel head allowing for a highly precise light beam. Once mounted to the MonoRail system this highly functional display head pivots on a vertical and horizontal axes. The Mo-Pivot can be quickly customized by adding one of our compatible decorative accessories and/or optical controls. Further customize the Mo-Pivot sconce to fit your special space by choosing from one of two on-trend finishes, antique bronze and satin nickel. All lamping options available by Tech Lighting are fully dimmable to create the desired ambiance in your unique space. Head swivels 220°, pivots on vertical and horizontal axes. 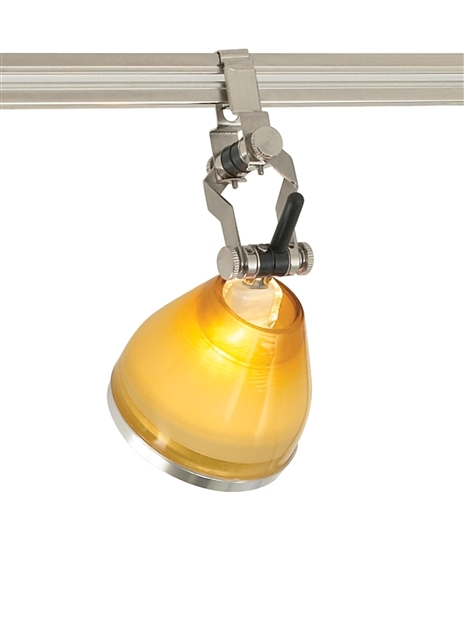 Specify for low-voltage, MR16 of up to 75 watts (lamp sold separately). For MonoRail system only.